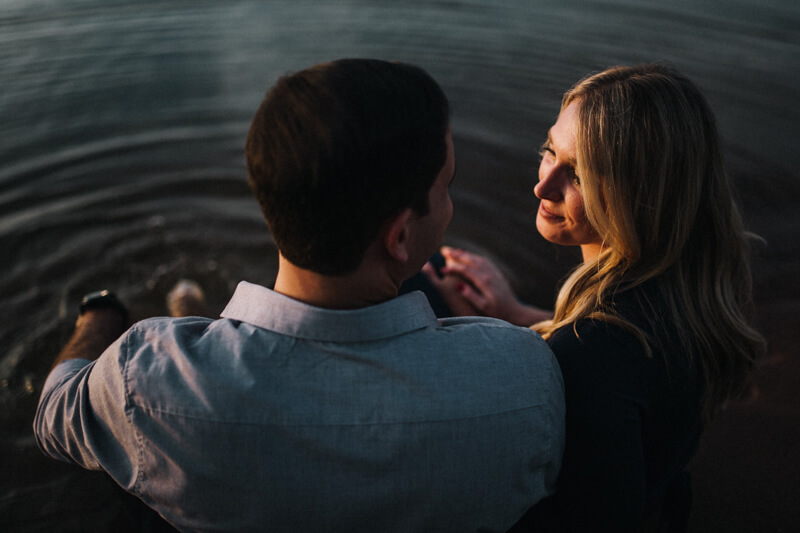 Wake Forest Engagement - Falls Lake State Park. Jesse and Amanda are from Florida and love the water. They're planning a wedding with lots of blues and references to the ocean, so it only made sense to do their engagement photos at the lake (our closest alternative). The calm water and warm sunset matched the two of them perfectly - quiet and romantic and so easy.